At 100 copies per minute, the Xerox 4127 can slice through large jobs with ease. Equipped with standard features like a universal document handler, zoom capabilities from 64% to 155% and automatic duplexing, the Xerox 4127 is also quite versatile. And whether you are working with blue inks, linework, solids, halftones or photos, its microprocessors maintain consistent high quality throughout even the longest runs. 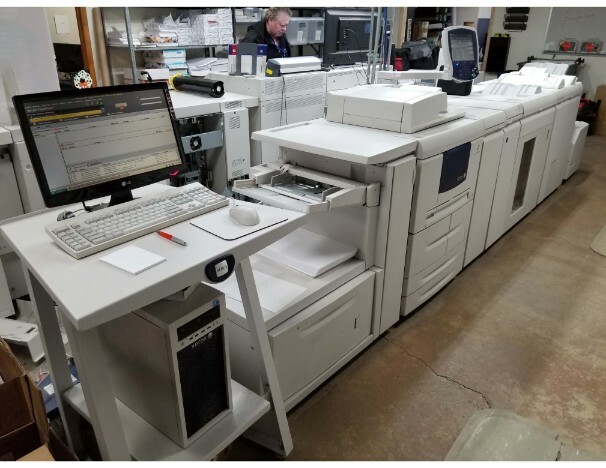 Added finishing features like cover insertion and custom stapling, Square-Bind Booklet finishing with face trim and GBC in-line coil punch, the Xerox 4127 can handle most any job.